If you've been thinking about draping that royal Benarasi stole or dupatta off late, don't wait any further because we might just have the perfect shop for you. Rajwadi in Charni Road's Girgaum is where you need to be and here's why. 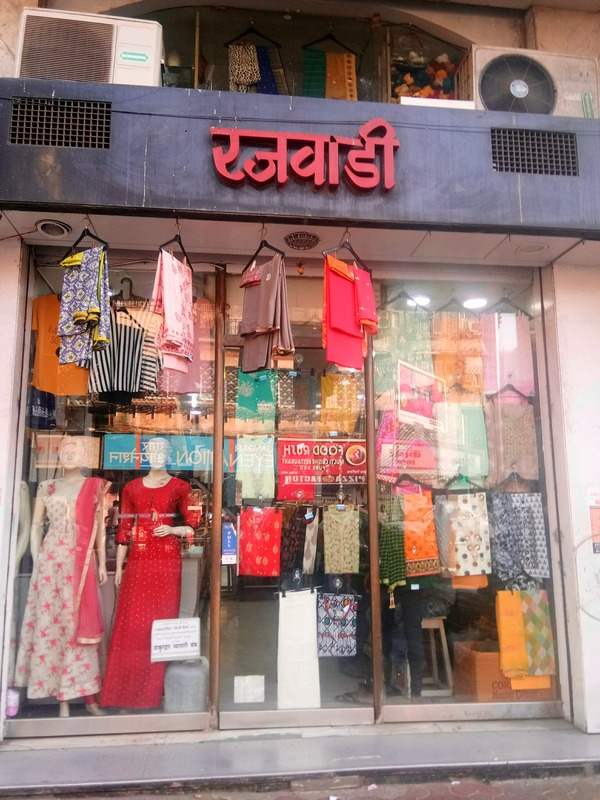 From the outside, Rajwadi might look like any other normal shop that has mannequins clad in the best of clothes. But when you go inside, you're instantly awestruck by their collection. Not only do they keep quirky casual tees from INR 450 onward, but they also specialize in dress materials for your Punjabi suits. The whole set comes between a range of INR 1,000 and INR 1,500, and we aren't complaining about the rates because the designs are really elegant. There are cut pieces too if you're looking for some. There's Kalamkari cut piece for INR 250 a meter, Benarasi cut piece for INR 220 a meter and cotton cut pieces for INR 150 a metere, which is pretty reasonable a rate. However, what caught our fancy was their collection of Benarasi stoles and Dupattas. Starting at INR 600, they're oh so worth it. You will get them in plains and prints and they aren't too loud (if that's your concern) Drape them around your neck, or let them adorn your kurtas at weddings, parties or gatherings, and your look is sorted. Hence we'd suggest you bookmark this shop right away. Happy shopping!